As a small business owner, you’ve got a lot on your plate. Between the daily tasks of running a business and the time you actually spend on your products or services, sometimes it seems like the only thing more limited than your budget is the time you have available to actually promote your business. Luckily, there is one marketing space out there that can be used to great success without a huge investment. Social media is not only a great way to engage and form lasting relationships with your current and potential customers, it also provides a unique opportunity to increase your business’ visibility and website traffic. And although small businesses have seen their ability to gain organic reach decline in recent months, Facebook paid promotion options enable business owners to continue reaching new audiences within a reasonable budget through targeted advertising. Not quite sure how to make the jump from traditional promotions to Facebook advertising? 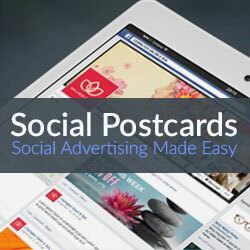 That’s where Social Postcards, the newest product offering from Vistaprint, comes in. This new tool was developed in collaboration with Facebook in order to make it easier than ever for small business owners to leverage Facebook advertising and reach a larger audience with their messages or promotions. Social Postcards was developed based on the insight that if small business owners are taking the time to create traditional print materials, there should be a simple way for them to leverage those materials for advertising in the digital space. 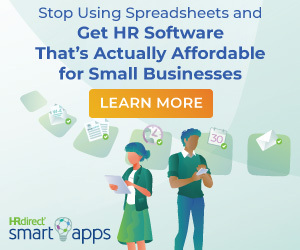 With Social Postcards, small businesses owners are able to take the print postcards that they’ve already created and generate corresponding digital ads through a simple step-by-step process. These ads can be posted directly to Facebook to further increase brand awareness and traffic. Digital design is not necessarily the forte of many small business owners, and that’s okay. Social Postcards makes it simple for anyone to create professional quality Facebook advertisements that are cohesive with their existing postcards. With professionally designed templates for highlighting events and promotions, fonts to match your logo and current branding, and an extensive library of images and backgrounds, anyone can produce eye-catching designs with no technical experience required. Compatibility with both Facebook desktop and mobile. The beauty of social media is that there’s no need to rely on your gut to determine your return on investment. Back in the day, when a small business owner’s only option was to pay for an advertisement feature in the local newspaper, there was no sure-fire way to determine how many people took the time to peruse that ad, much less how it actually impacted sales. Social Postcards comes equipped with ad analytics to give you as a small business owner an accurate picture of not only who is seeing your ad, but also what kind of impact your digital advertisement efforts are making on your target audience. Running a business is no easy task and all too often marketing and advertising campaigns have to take a backseat to more pressing concerns. Social Postcards kills two birds with one stone, helping you achieve measurable results with minimal time, all within your budget.